Organising for quality for ECE – Sarah the scientist shares some ideas with an ECE network in Wellington. 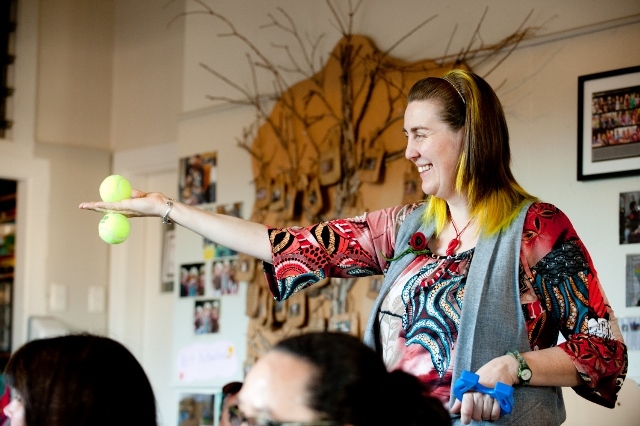 Besides Sarah (aka Dr Sarah Kenworthy – pictured above) who looked at how to work with young children on science experiments, the group has had Professor Carmen Dalli from Victoria University as a speaker. But action was taken and rolls are now full and the centre has maintained its high ratios and qualified staff. ECE networks in other areas are also working together on PLD and marketing initiatives to ensure quality is maintained in the face of aggressive marketing by low-quality, for-profit services.